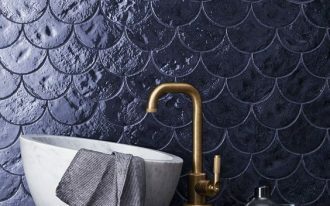 Having a neat bedroom must be a thing people want to have. 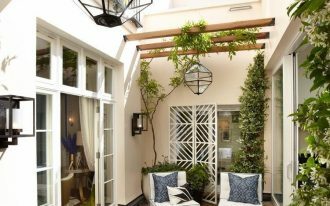 Most of the people want to have a neat bedroom in order to get fully relaxed space. 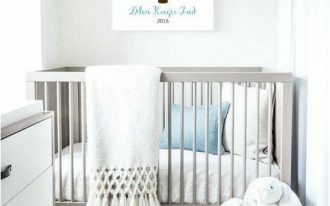 A neat bedroom can come from the furniture arrangement and the colors choices. Black and white colors are popular for bedroom colors. They are neutral and calm colors. 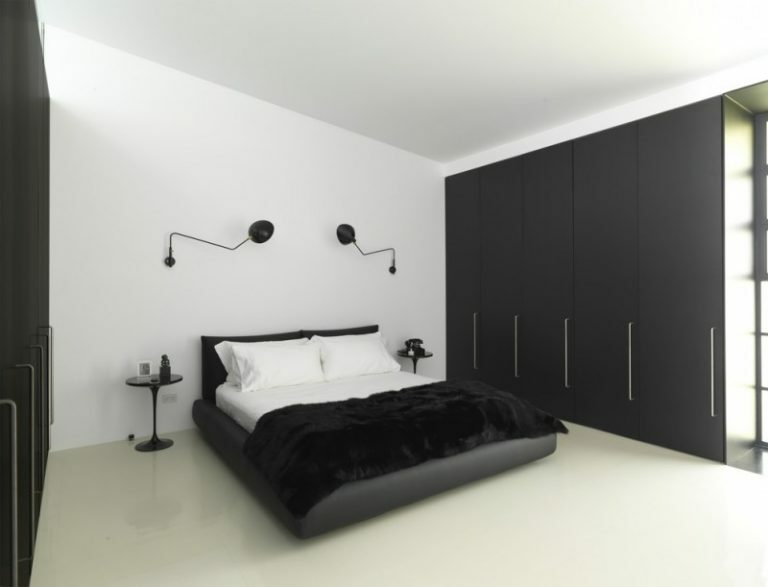 White color gives clean look for your bedroom, while black color can give a masculine feeling. 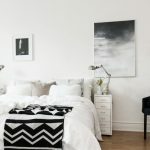 If you combine black and white colors in your bedroom, you will get a beautiful color combination. 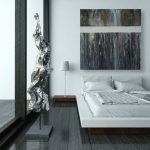 Here are some black and white bedroom ideas that may give you some inspiration to make your dream bedroom. You can get built-in black and white bedroom furniture that will add more space. The white carpet and white walls are balanced by the black shelves. Your guest will have an enjoyable sleep. 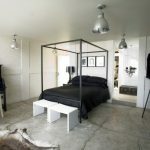 This bedroom features a black bed, white small benches, black large shelves, a white armchair, a black desk with storage, concrete floor, and some industrial pendant lights. 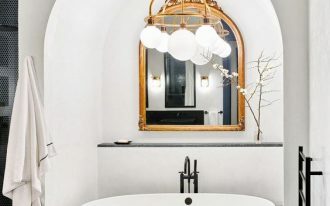 This black and white bedroom has a black low bed, white bedding, a black fur comforter, black tall and narrow closets with simple slab doors, Saarinen end tables, and Serge Mouille 1 curved arm rotating sconces. This bedroom has a black wall with white frames. 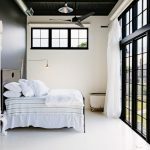 The black and white combinations are shown in the white bedding with a black cotton filled blanket, armchairs, and the window curtains. You can put a large Safavieh shag beige rug on the black floor. The black wall of this bedroom has some neat white frames. 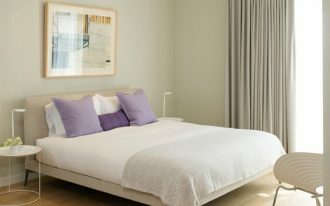 The white bedding blends with the white bed and the white tufted headboard. 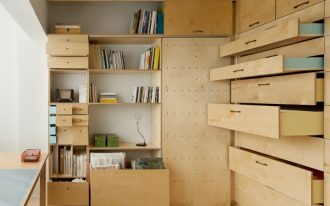 There are white built-in shelves for extra storage. 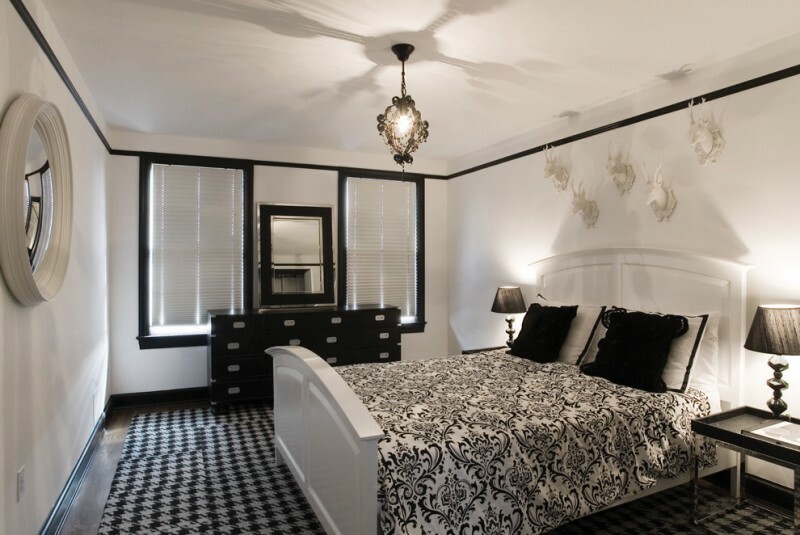 If you like a romantic feel bedroom, this black and white bedroom can be a good choice. 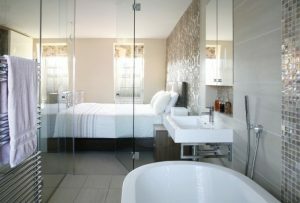 The white headboard and the white frame of the floor mirror have antique and romantic designs. You can decorate your futuristic nightstands with red roses arrangement. This room has a mix of patterns between the patterns of the bedding and the rug. You can put the black dresser between the black framed windows. 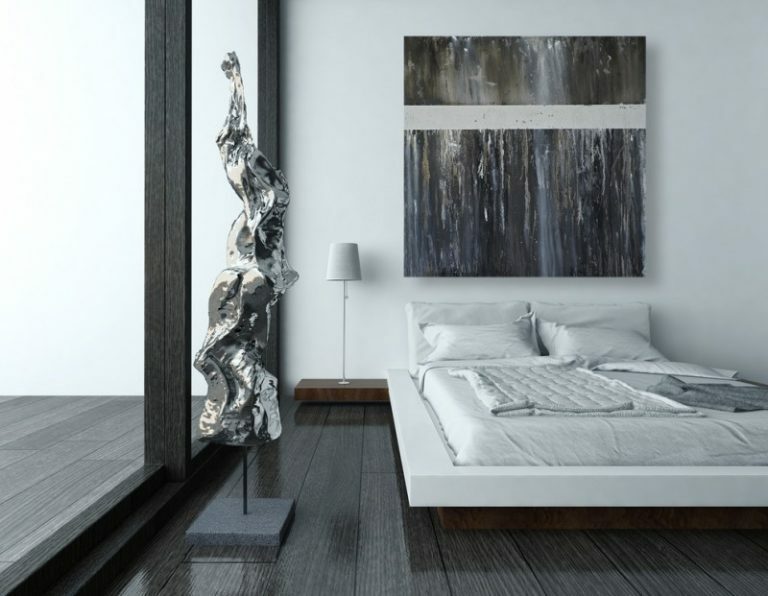 This bedroom is decorated with a black and white painting. 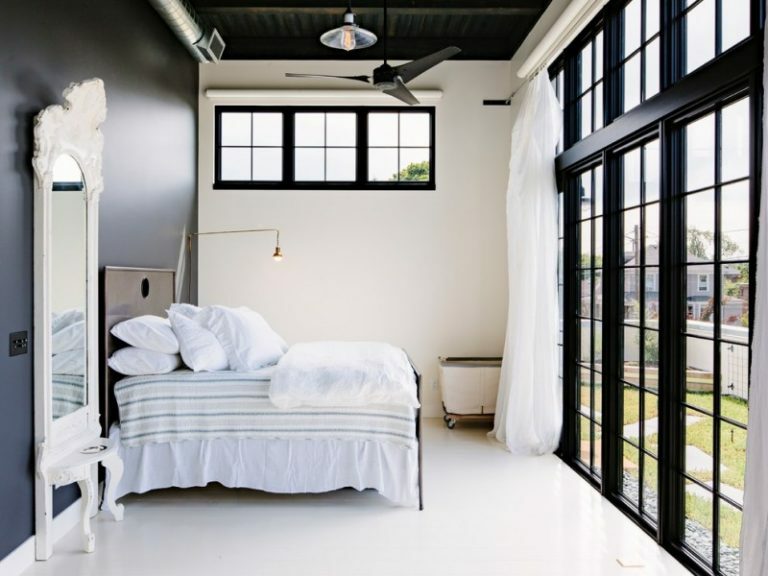 The floating like white bed looks cool in this simple open concept bedroom. You can put your white bed faces the sliding glass door with black frames. 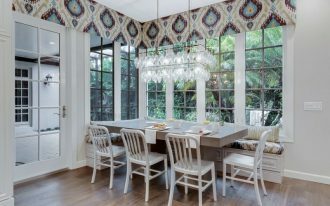 The white parachute curtains balance the window to make a soft feeling. 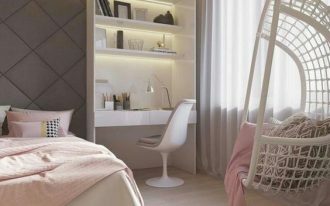 This bedroom design is simple but it creates a peaceful space. You can pair your white bedding with black that will make it classic and chic. This bedroom also has black accents on the paintings and the armchair.